Students love ’em, but teachers dream ’em. We’ve all heard these lines and others like them many times before, and of course there is truth to them. Classrooms need to be a collaborative setting so students can learn the skills that they will use in an increasingly collaborative world. We get it. Kids need to do more group work. 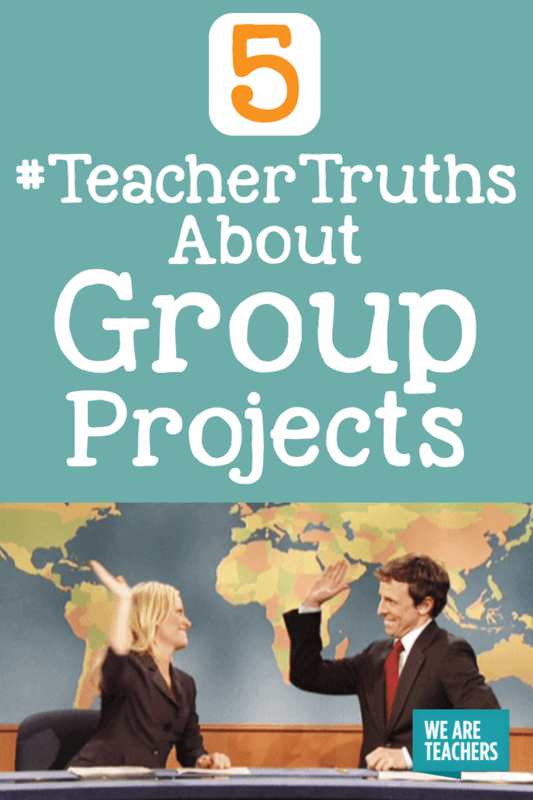 If you’ve assigned group projects, here are five things you definitely understand. 1. There’s always a freeloader. There’s always that one student who lights up when they find out about a group project. They simply have to find their way into a group with a couple of A students, make it clear that they should not be trusted with the most difficult tasks, and then throw on their headphones for the remainder of the project. The freeloader rides on the coattails of others and is the second-to-last person to be selected to be in a group. 2. There’s always a know-it-all. The least likely person to be selected for a group is the know-it-all, the student who makes it clear that they know what’s best and micromanages every aspect of the project. The freeloader loves being in a group with the know-it-all because it means not doing any work. However the sentiment changes quickly when the know-it-all upsets everyone else with their unreasonable demands and Devil Wears Prada-esque power moves. If the know-it-all can be taught to collaborate, they are some of the best group members imaginable. But if not, get ready for phone calls from parents about kids coming home crying because of your group assignment. Teacher: All right, everyone, we are going to do a group project. Before we get star- [student raises hand]. Yes, do you have a question? Student: Can we pick our groups? Teacher: No, I’m selecting groups. Teacher: Well, I want you all to work with new people and make new friends. Teacher: Well, research shows that there’s a lot of value to teacher selectivity when it comes to group formation and collaboration activities. Teacher: Because I need to make sure the more talkative kids and the quieter ones are spread out. Student: But why? Me and my friends work really good together. Teacher: Because I’m the boss, and I said so. 4. One group project equals four individual projects. The purpose of group work is for kids to learn to collaborate and use their collective knowledge and skills to solve a problem and complete a task. However, it often turns into students divvying up tasks amongst each other and then combining them for the final presentation. Essentially, if students were to create a slideshow, each kid creates a slide and puts it into one presentation. The final product ends up being four slides with four different fonts, four levels of quality, and basically four different assignments turned in at the same time. You taught them how to collaborate. You told them to collaborate. They did not collaborate. 5. There’s always at least one group that does NOTHING. Being intentional when selecting groups is key. You don’t want too many friends, know-it-alls, freeloaders, enemies, etc. in one group. But every now and then you mess up and make a group comprised entirely of unmotivated students. When some groups are developing cures for cancer, others are taping spaghetti to paper plates the night before the project is due. The result is unfinished projects, you ripping out your hair, and you making a personal vow never to do a group project again. Of course there are ways to address all of these issues. From having students write group contracts, having collaboration grades attached to assignments, teaching and modeling collaboration before even assigning it, or being very selective when creating groups, group work can work. But let’s not kid ourselves: Sometimes group work feels like dental surgery and that one Disney song on repeat. Ever feel like you’re going at it alone? Check out our WeAreTeachers HELPLINE group on Facebook to connect with other teachers about topics like group projects, testing season, and more. We also have some tips in this article about keeping the group in group work.